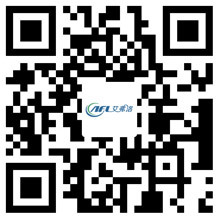 Basic Information About Axial Fan - Hangzhou Airflow Electric Appliances Co.,Ltd. Axial fans are different from centrifugal fans. The Axial fan draws air through the propeller and discharges in the same axial direction. The blower draws air through the wheels and discharges it to 90 degrees. A device that propels air with a propeller is called a fan, and a device with wheels is called a blower. The blade are usually made of aluminum or wood. Its applications include aircraft, helicopters, propellers, boats and hydrofoils, hovercraft. Also used for wind tunnels and cooling towers. If the propeller is advancing, then its efficiency is the only interest parameter, and the remaining parameters such as power requirements and flow are considered to be the least interest. 1.IDP is optimized on the basis of the three-dimensional axial fan blades given the required air volume. 2. Using the current air flow of an existing axial fan, multiply it by a constant (> 1) to obtain the desired air flow. 3. The redesign of the fan blade geometry is the use of a large number of design variables, so that the shape of the fan blade completely constructed. Therefore, IDP for technical parameter estimation can be used for research. 4. The results show that, by re-designing the fan blades, the air volume of the fan can be improved, and the performance of the axial fan can be improved. 5. Finally, in order to verify its effectiveness, the prototype of the real and optimal axial fan blade manufacturing and fan performance test with these blades on the basis of the amca-210-99 standard.